Here we meet again to share the first part of the project. 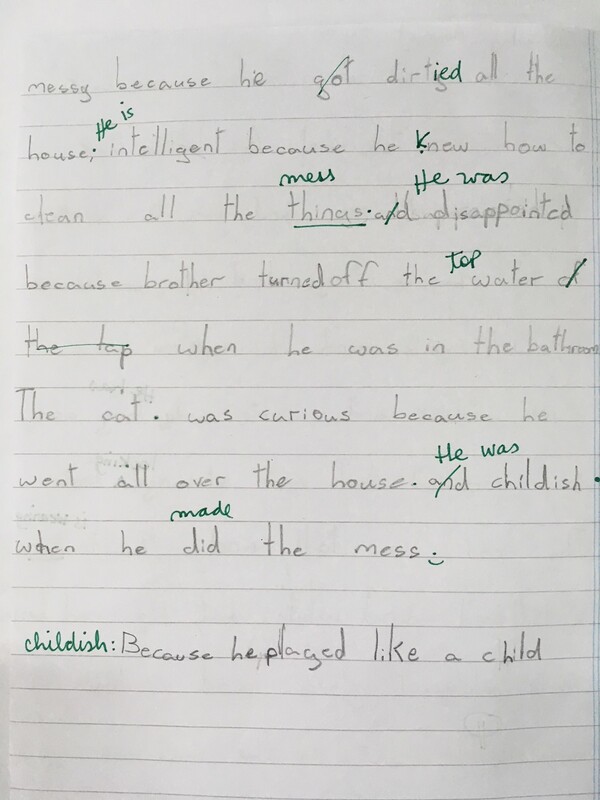 An author’s writing style is easy to recognize after a deep digging of his books. 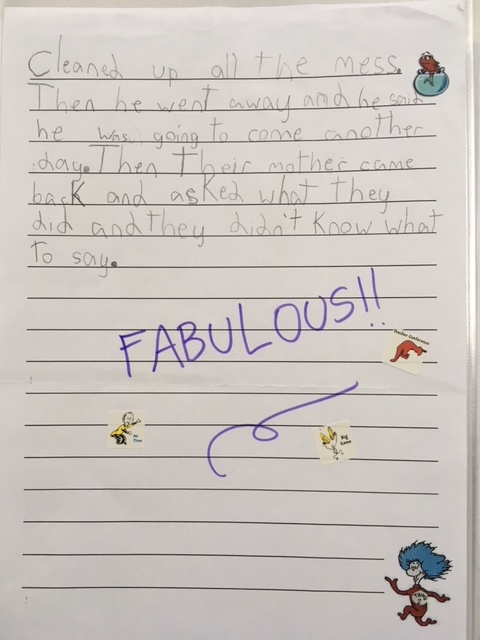 This is what 3rd graders did. 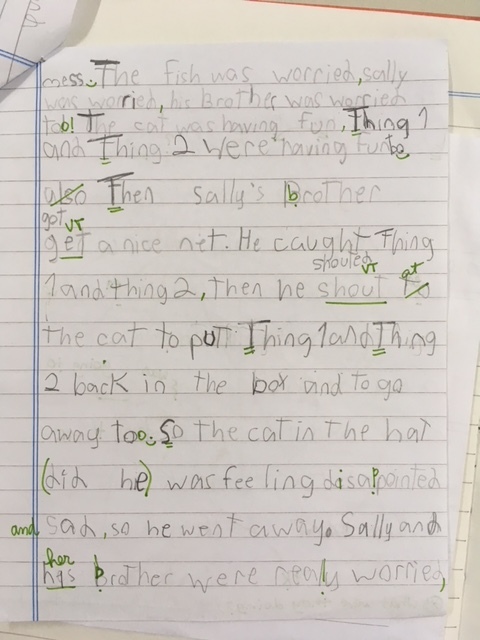 This time students got into writing. 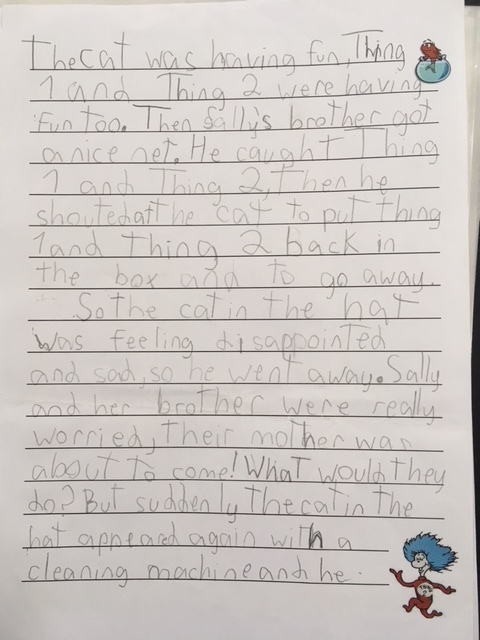 We chose “The cat in the hat” to start with this task, our students had to rewrite the story, trying to sound like Dr. Seuss by imitating his writing style. We read the story together as we projected it on the screen for our students to appreciate the richness of the illustrations. After reading the story we played “blind sequence” taking into advantage the value of cooperative learning. Later, we worked together on the pre-writing strategy. 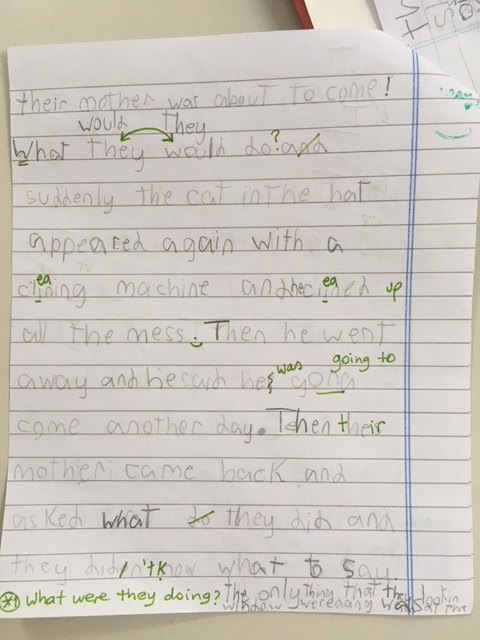 The importance of it makes a difference in the writing outcome, the more we prepare our students for writing, the better their work will be. 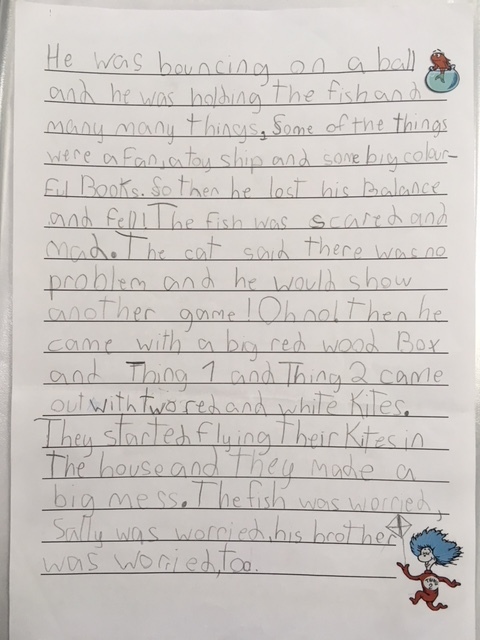 We gave each student a page with the main events of the story in pictu res, and a blank box next to each picture. 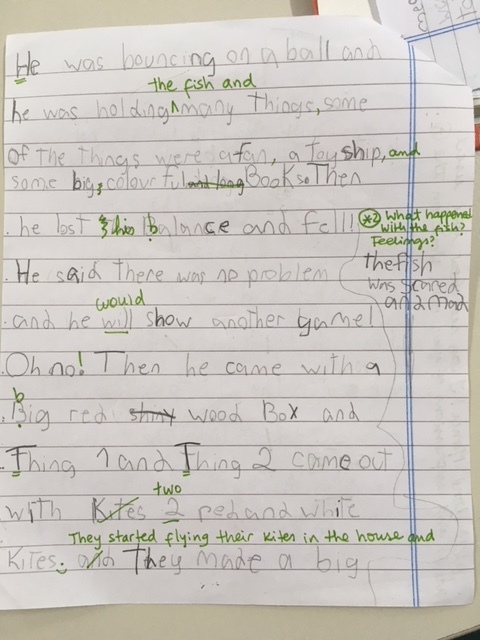 The idea was to go over the story and in the blank box write words, expressions or feelings that would help students in their further writing. 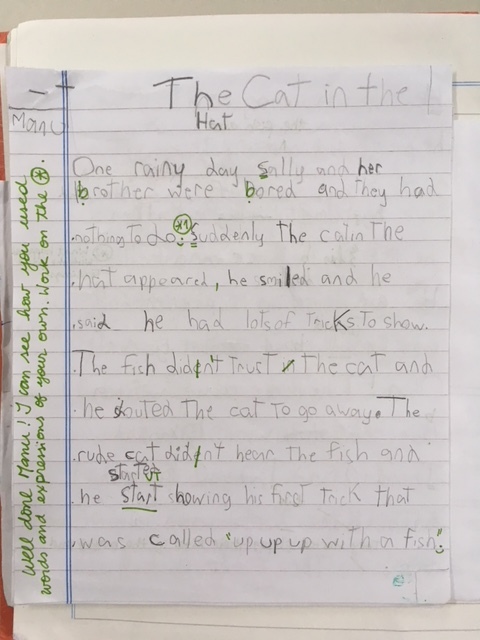 Once this was done, students were ready to work on their own retelling of “The cat in the hat”. They made a first draft and a clean copy with the first version corrected and improved. 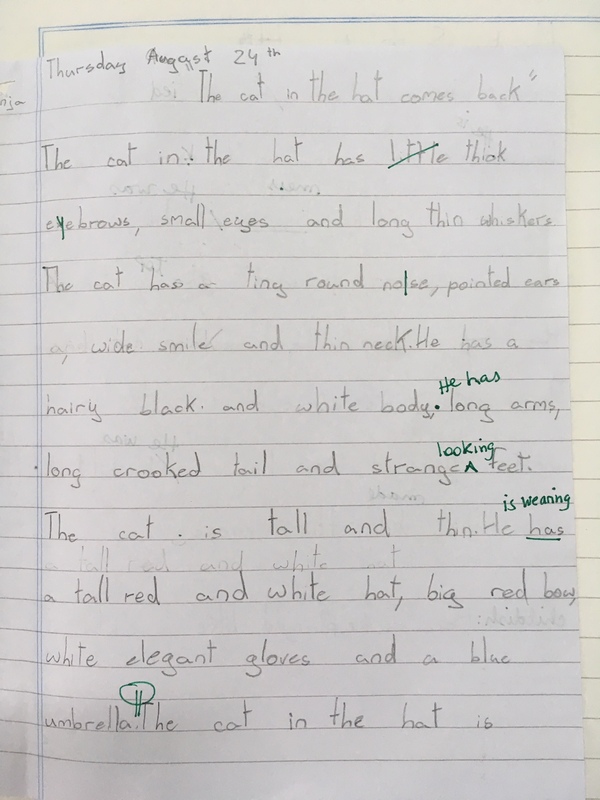 The second piece of writing was a character description, another Year 3 expectation. 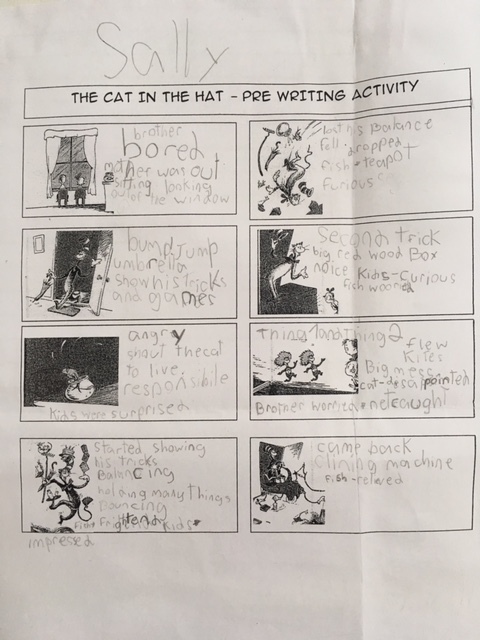 The 3rd grade objectives call for students to identify and describe characters’ actions, thoughts, and feelings, which is a challenging task at this age. 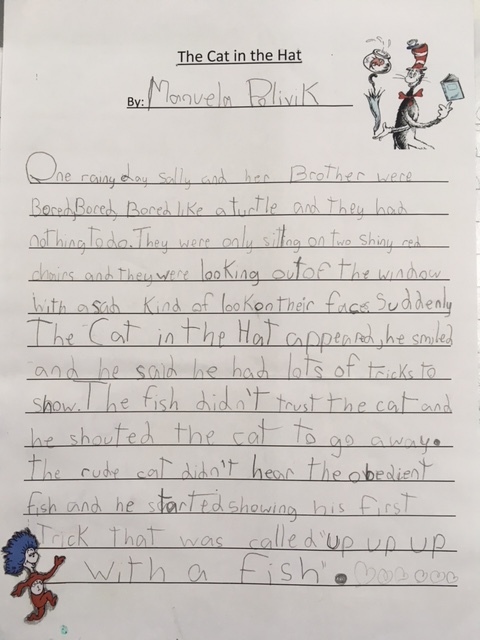 To accomplish this task, students were asked to describe the main character, “The Cat”. 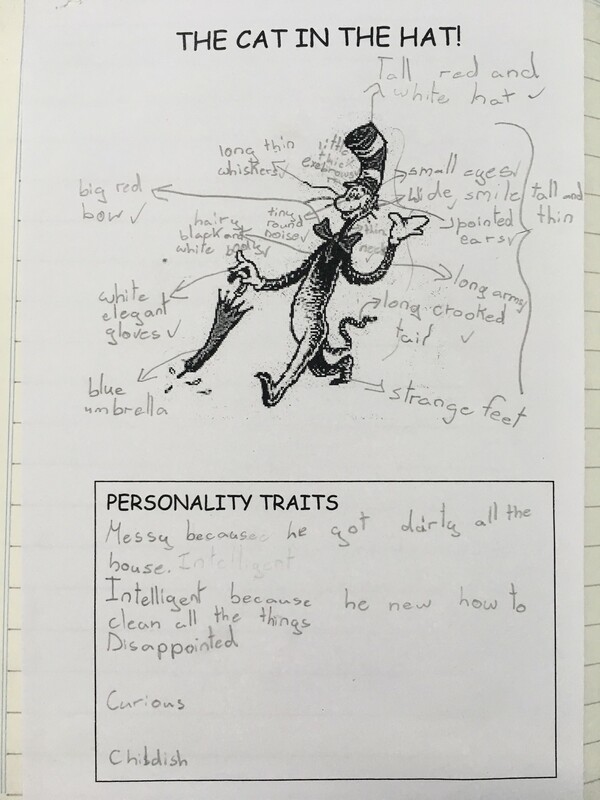 This time we read together “The cat in the hat comes back” so students had more evidence of the cat’s personality in order to describe him more deeply. Same modality, we read the book out loud while students watched the story and its illustrations projected on the screen. 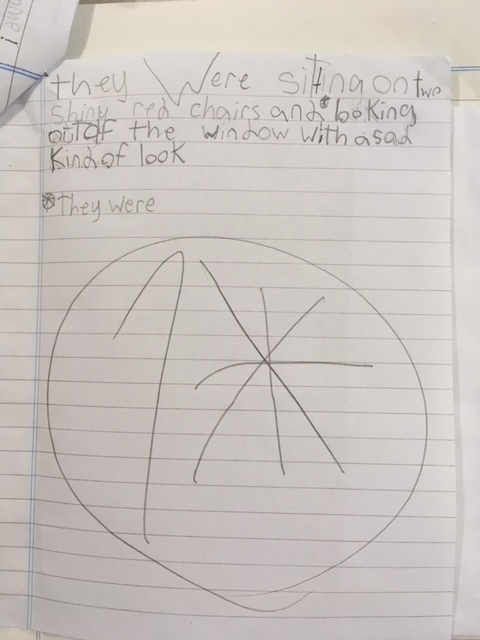 Then we worked on the pre-writing strategy. 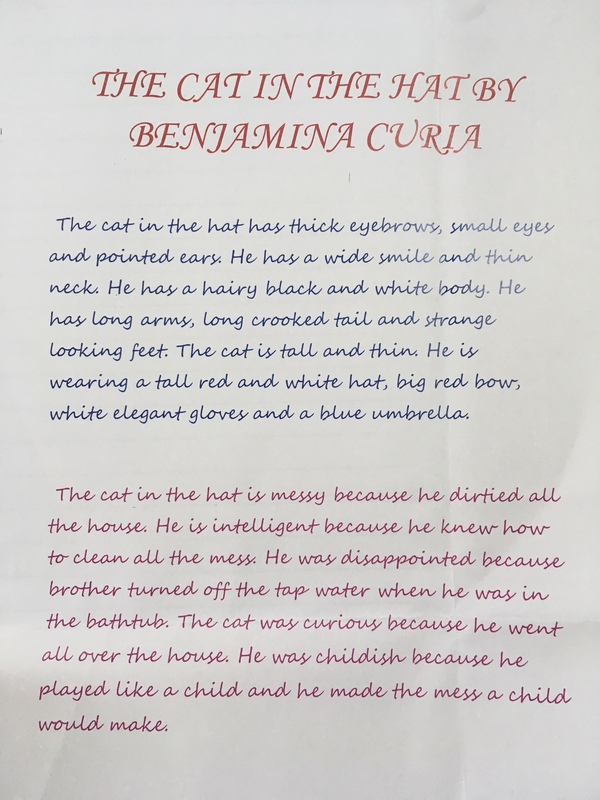 This time students were given a page with the drawing of the cat and a big blank box below the cat. After brainstorming, we labelled the cat with the physical traits that the students agreed on. In the box below we wrote different personality traits that students suggested, supporting them with evidence from the books. Stay with us, you´ll discover the magic of Dr. Seuss rhythm and phrases…!! !